Wiring in today's homes present a major challenge to building a smart home. Smart switches or smart bulbs: What's the best way to use these connected devices in the smart home of your dreams? While we wish a smart device could install itself, that's not the case. (At least right now.) In fact, many homeowners find they have to become experts, and quickly, in how their homes are wired when trying to install devices like smart switches and smart bulbs. Here's a short, but thorough, outline on how electricity runs through your walls, what smart devices need for their own power, and how to make the two work together. One of the biggest challenges consumers face when building a new smart home is understanding the wiring behind their walls. For instance, did you know that you need a C-Wire to turn your thermostat into a smart thermostat? Well, you do and most consumers don't realize this little detail until after they've purchased a smart thermostat and start installing the device. The same is true for installing smart switches and outlets. According to CMoo Systems, 90 percent of the homes worldwide (and 50% in US and CA) are not capable of powering today's smart home devices at the light switch location unless the homeowner re-wires their house. That's key. So GearBrain decided to outline why this is, and come up with options so you can get smart switches up and running. How does the wiring work? In terms of wiring, all homes use AC power (Alternate Current). In the US and Canada, this is known as a single phase 110V/240V system. The AC voltage has two wires, a hot and neutral (There's often a ground wire, as well, in new homes.). A hot wire, usually black, carries the current from your electrical cabinet to the load (i.e. light bulb). The neutral wire, usually white, carries the current from the load back to your electrical panel. The electrical panel, which is usually located in a closet in the basement or garage, houses all the power in the house. This is how the flow of power works behind your walls. However, as simple as this might be, the flow of power for smart devices or switches gets very complicated. Standard switches and outlets have only two wires as we described above, a live and neutral. When the switch is on, the current flows from the electrical panel to the live wire to the load and back to the electrical panel via the neutral wire. When you turn the switch off, the current is interrupted by cutting the flow of electricity from the live wire and the load or light bulb turns off. This is called "open" wires. This is very simple, right? 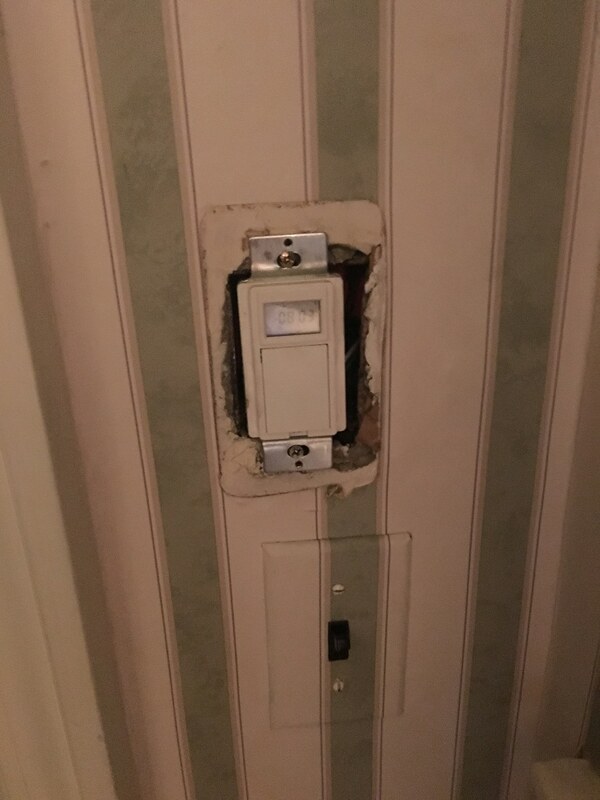 Example of wiring for a switch in an older home. 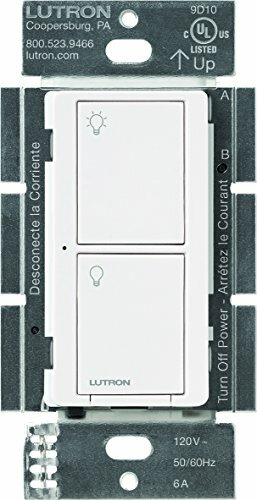 Install new switches that work without a neutral wire. These switches work by stealing current to get the devices to work properly. This option does have limitations and drawbacks. For instance, you need to have specific type of LED bulbs for this option to work. If you don't, your lights will glow even if the smart switch is off. You need to have a minimum of 25 watts of power for these devices to work properly. Make sure you know which LED bulbs you need and how much they cost before buying these smart switches. You can also add a "bypass" device near your LED bulb. This can help stop the flickering but you might need an electrician to install it. Another added cost. Buy Smart LED Bulbs. These smart bulbs give you control at the bulb. 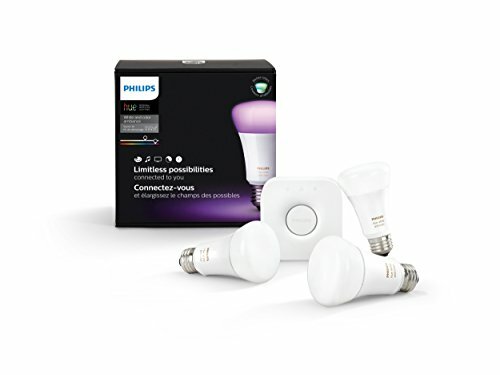 Phillips Hue, GE and Lifx are manufacturers of smart LED bulbs which can be controlled by a smartphone or through a connected hub. You can even control them using your voice if you own a digital assistant like Amazon Echo or Google Home. This option does not require any re-wiring of your switches. However, you need to keep in mind you need to always have your light switch turned "on". And, if your smartphone dies, you will have problems controlling the light from your switch in some cases. Lastly, this option can get very expensive. If you have a lot of lights in a room or a chandelier and want to install smart bulbs, it can cost you a lot of money. The range in cost for smart LED bulbs is as low as $15 per bulb to as high as $80 per bulb. The average cost for a standard LED bulb is $6 per bulb. 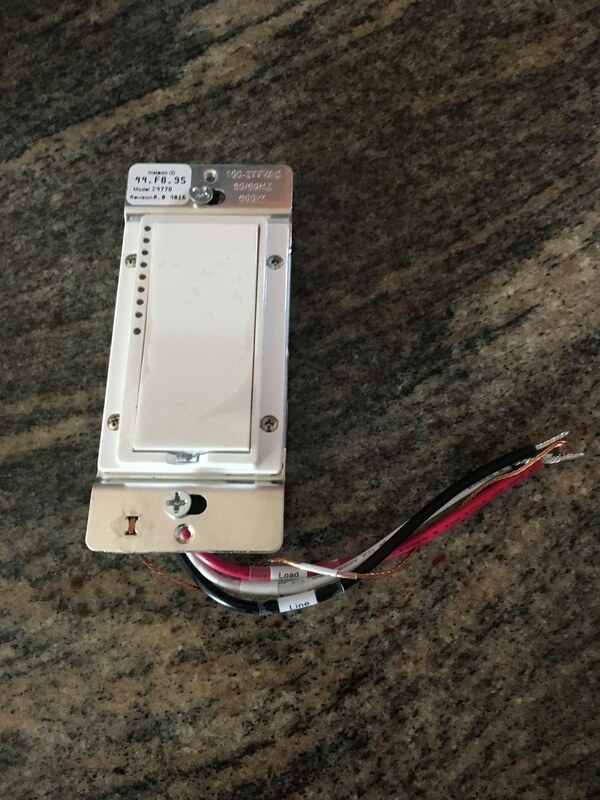 Buy a smart LED with a battery powered switch. Philips Hue and Switchmate offer a battery powered light switch which is also a dimmer. This type of switch acts just like a remote control for your lights. Just secure it on our wall and use either the switch or your smartphone to control your lights. 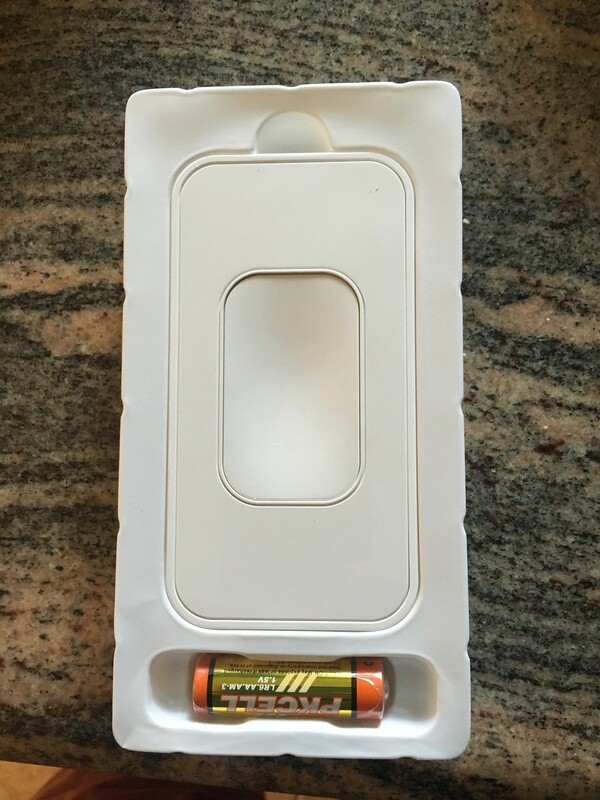 But make sure you keep track of the battery power in the switch. This can be done through the light switch's app. Though this is a convenient option with easy installation, it does have its drawbacks. For example, you can only control one device with the remote. While some solutions vary in difficult, some can be short term options to get you, at the least, started. One company, CMoo Systems, promotes smart lighting architecture that does not 'close' the current loop via the load/bulb and is agnostic to the load size/type. CMoo's solution's has no 'minimum load' and even 1 watt LED will work perfect without flashing / glowing effects as it happens with all other smart light switch products supporting 2 wires / no Neutral. Major switch manufacturers use its technology, which is expected to hit the market soon for consumers and works with existing wiring — and without extra installation costs. While this will be great, home owners still need to decide how to best run their connected devices. 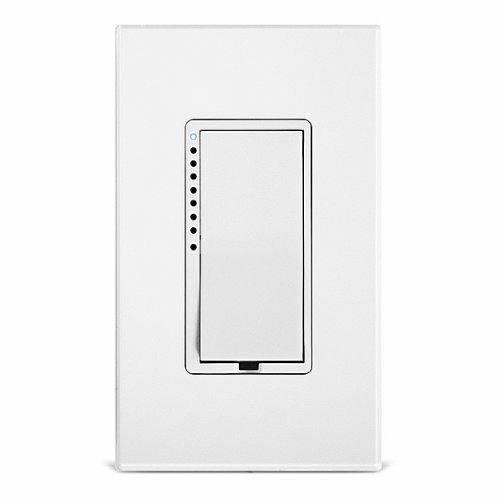 Do you want a switch or outlet to control the room's devices or have a smart plug handle it? Do you want a central hub to control your entire house and its devices like smart blinds? 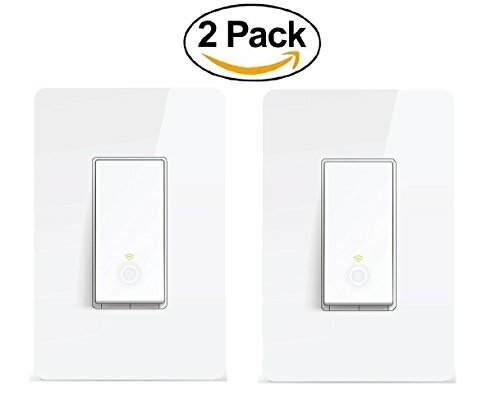 Is it cheaper to replace switches/outlets than buy LED smart light bulbs for every room? Once you make these decisions — and know whether you need to re-wire the house or not — you'll be able to determine the best path, for you, to a new connected life. Building a smart home today has its challenges, with many moving parts. When deciding if a smart switch is better for you than smart light bulbs, understanding the wiring in your walls is just the first step. 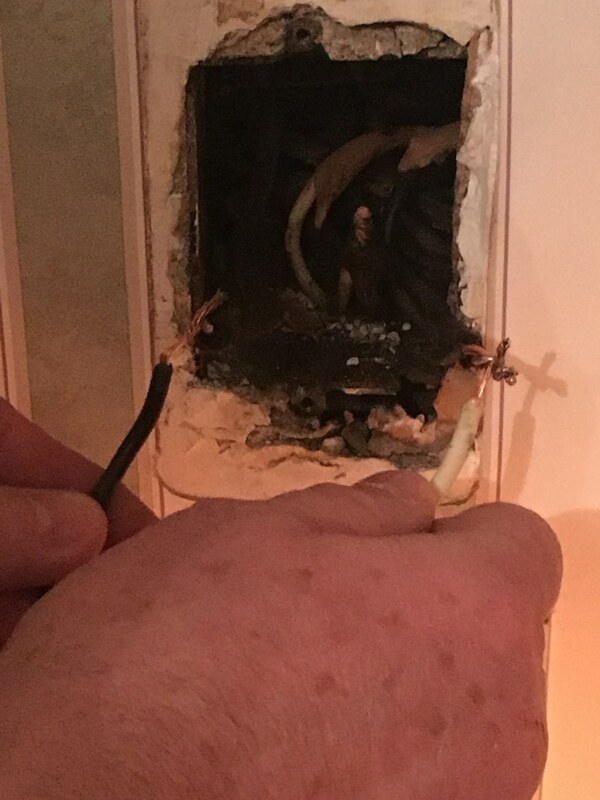 You need to figure out if your wiring can power smart connected devices or if you need to hire an electrician for additional wires. And — is the price of an electrician to update wiring a cost efficient option? You'll also want to consider what level of control you want to have in the home, and if you want to control devices from the switch, sensor, or a smartphone? Finally, there's the question of the cost: How many bulbs do I need to replace and is that cheaper than changing wall switches? Answering these questions gets you closer to the true benefits new connected devices offer today whether that's smart switches, smart lights or anything else you choose to install in your home. Good luck.